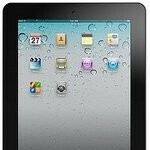 Apple might reveal the iPad 2 at an event next week for developers? If there is one market right now in the business that’s still going to see a monumental increase this year, it has to be none other than the competitive tablet market. With that, there’s no denying that the Apple iPad continues to push the pace in light of some heavy competition on the horizon, but we’re all wondering when they will finally unveil its successor. Hopefully, it might not be too far off if the rumors hold true since it's being reported that Apple is going to hold an event sometime next week for developers – and where they’ll possibly reveal the Apple iPad 2. Although some are already pin pointing the release of the iPad 2 to fall around April 2nd and 9th, we’re still in the dark regarding its unveiling to the public. Coming from an unnamed manufacturer of iPad accessories, Apple just might show off their shiny successor next week – but there is still no concrete details surrounding the actual event. Naturally, the rumors are swirling more than ever seeing that we’ve gone nearly a year since we all feasted our eyes on the original model. Since Apple recently release the third beta of iOS 4.3, the speculations point to a special developers event for it – and of course, we can only dream of seeing the iPad 2 making a special guest appearance.